It isn’t often that I will write about one particular product, but last week I experienced trying a new product that knocked my socks off. As we age, no matter how good we are with our skin and no matter how awesome our home care routine may be, there is no doubt that our skin starts to become duller, less plump, less youthful. Add to that, that personally I have an oilier skin and have to be careful not to use rich moisturizers and you can see how it can be difficult to maintain a proper hydrated, voluminous, healthy appearance. 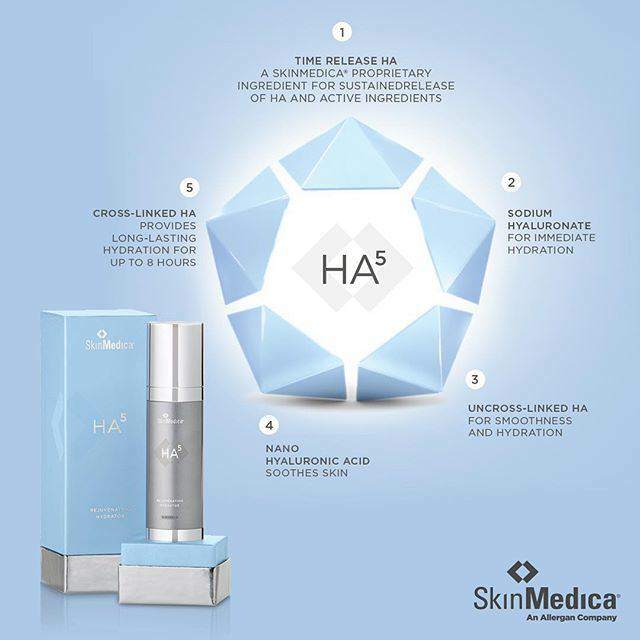 SkinMedica recently released a new hydrator in Canada called HA5. It is a hydrator containing 5 different weights of hyaluronic acid. Hyaluronic acid (HA) is a molecule capable of retaining up to 1000 times its weight in water. It is the ultimate sponge, and the more we have, the better our skin will be. As children, we are full of HA. When we see children and admire their beautiful, perfect skin, it is because they are loaded with HA. But as we grow and are exposed to the elements, environmental pollution, the sun, or things we put in our bodies, we are slowly depleting our system of HA. From dry, dehydrated skin to those suffering from acne, we all need as much HA as we can get. SkinMedica’s oil free, fragrance free hydrator is ideal for every skin type. It is non-comedogenic (doesn’t cause acne breakouts), light weight and feels amazing from the get go. Hydrators and moisturizers are not exactly the same thing. A moisturizer is a cosmetic cream or lotion made with humectants or occlusives or a combination of both that prevent skin dryness. A hydrator is a cosmetic treatment product that promotes epidermal health by supporting the skin’s natural ability to replenish HA. For most of us, the HA5 would be applied directly before the moisturizer. For some, perhaps in the summer, the HA5 may work well alone. Dry skin is a skin type, while dehydration is a skin condition. In both, the skin undergoes transepidermal water loss, or evaporation of water from inside the body. 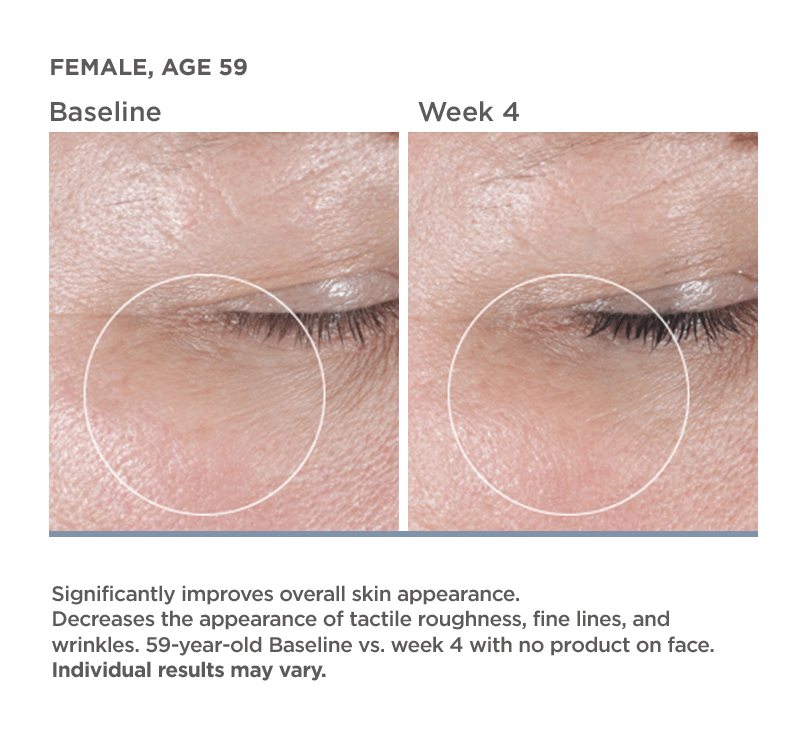 With this water loss, the enzymes that normally help the skin shed cells can’t function properly, resulting in a buildup of cells that makes the skin look rough and dry, contributing to the appearance of fine lines and wrinkles. Dehydrated skin still produces sebum but is temporarily dry because of various factors, including environmental effects such as a dry climate or use of harsh detergents or products on the skin. It is caused by a temporary imbalance of fatty acids and ceramides in the skin’s barrier layer, resulting in a temporary spike in transepidermal water loss. Those suffering from acne and are on acne medications are often subjected to dehydrated skin. Thinking their skin is dry instead of dehydrated, these patients will often resort to using too rich creams or even worse, oils, to make the skin feel less dry. Of course this results in more acne as the pores are blocked with the wrong types of products. I was given a sample of the HA5 that would last 4-5 days. Apprehensive due to my oily skin, yet informed enough to understand that HA doesn’t add oil to the skin; I was mildly excited to try this new product. I did everything else the same. I applied my regular serum in the morning, then the HA5, my moisturizer and then sunscreen. At night, I did the same, sans sunscreen. For the first few days, although I loved the feel of the product, I didn’t experience any change in my skin. By the 4th morning, even before I applied my skincare, I noticed my skin looking plump, juicy and yummy. When I went to work that day I had several comments from regular patients asking what I had been doing differently. So I told them. A few were so impressed they decided to try the product for themselves. The next morning I was scraping the bottom of the barrel like a crazy addict. I am sure I have never done this before. I was actually laughing a little at how weird I was acting. This is one product I will be adding to my routine. I will probably use it morning and night in the winter and maybe just once a day in the summer. Experiencing results like this so quickly and having others notice, is a rare thing for me. I love SkinMedica products and I use a lot of their home care, but this is the first one to really knock my socks off. I have actually been at work during the day and caught myself thinking about putting it on when I get home! Seriously!! If there is one new product you want to try this year, let HA5 be that product. No matter your skin type or condition, this is one of the best products I have ever used, and I imagine you will feel the same.